Nothing brings more sweet rewards to chocolate than almonds. It`s a combination that consumers can`t help but melt over. With almonds on the snack shelf, consumers can get the satisfying taste they crave plus the nutrition they know they need. Cakes, pastries and so many of consumers` all-time favorite sweet treats just aren`t the same without the appeal of almonds. Sweet. Savory. Salty. Spicy. You name it, almonds can make it even better. There`s nothing this temptingly tasty, uniquely crunchy nut can`t do. Consumers` preference for almonds has become a downright obsession courtesy of their enticing flavor and top-notch nutrition. Almonds don`t stop at just, well, almonds. Almond butter and almond milk are making names for themselves in kitchens all across the globe. 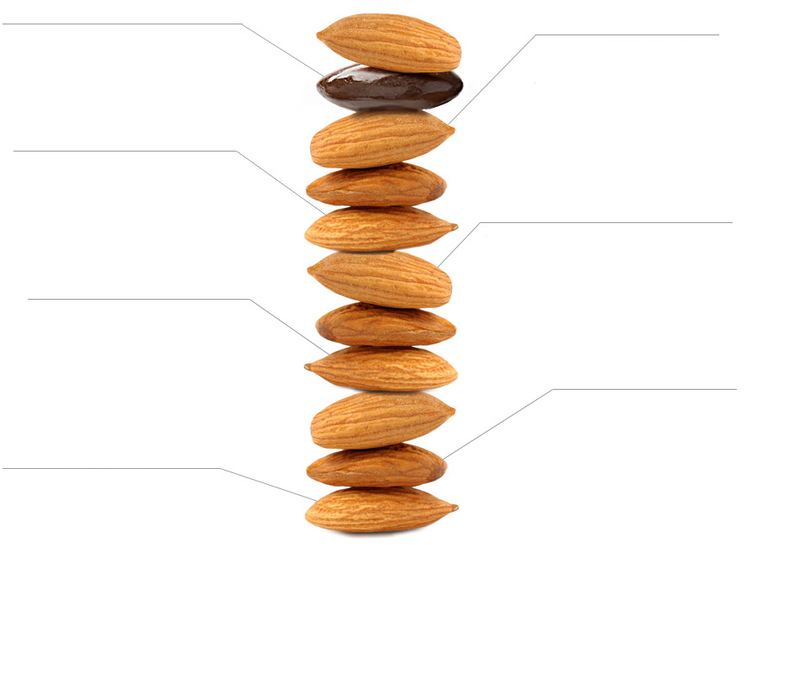 Still have an appetite for more almond information? This collection of inspiring downloads should do the trick. Good news about good fat: U.S. Dietary Guidelines recommend that the majority of your fat intake be unsaturated. One serving of almonds (28g) has 13g of unsaturated fat and only 1g of saturated fat.